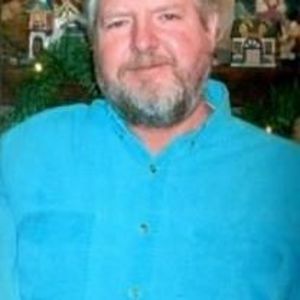 STATESVILLE- Donald Pierce, 57, went home to be with the Lord on November 15, 2017. Born February 5, 1960 in Dade County FL, he was the son of Rachel Starette Pierce Lambert and the late Alfred Pierce. In addition to his father he is preceded in death by wife, Donna White Pierce; grandson, Asher Smutz; brothers, Alfred, Rick and Michael. He is survived by his children, Seth (Ashley) Pierce and Megan (David) Smutz; five grandchildren; his mother; two brothers and several nieces and nephews. A memorial service will be held on Saturday, November 25, 2017 at 2pm in the chapel of Bunch-Johnson Funeral Home. The family will receive friends from 1-2pm prior to the service. In lieu of flowers memorials may be made in Donald's name to St Jude Children's Research Hospital, 501 St Jude Place Memphis, TN 38105. Donald will be missed deeply by family and friends. Bunch-Johnson Funeral Home is honored to be serving the Pierce Family.